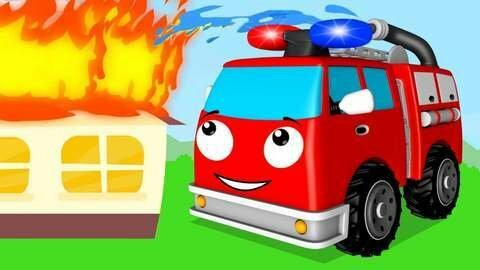 In this car cartoon episode for kids, the sleeping Fire Truck was awakened by the alarm because there is a burning house that needs to be put off. It rushes towards the scene but slips, catches fire, and is patted on the head by Excavator. Irritated, it splashes the remaining water until none was left for the burning house. See what happens next in this funny car cartoon show by going to SeeZiskids.com for more videos.